Graves of Able Seaman James Brooks and Robert Walton in 2009. Behind are more Neptune casualty graves marked Soldier known unto God. WALTON, Stoker 2nd Class, ROBERT F., D/KX120732. Husband of Clare Walton, of Rochdale. 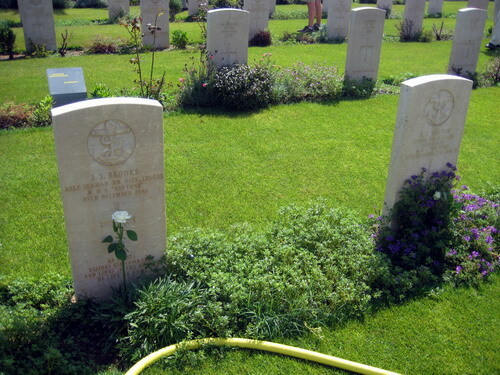 Tripoli Commonwealth War Cemetery 5. D. 14.